After months of leaks that would make the Titanic blush, AMD on Friday formally confirmed four new second-generation Ryzen CPUs due to launch on April 19. The Ryzen 7 2700X, Ryzen 7 2700, Ryzen 5 2600X, and Ryzen 5 1600 will each be faster and cheaper than their trail-blazing predecessors. All four chips run at slightly higher clock speeds than the versions they replace, and in a significant change from last year, AMD will bundle various Wraith coolers with the “X” versions of the chips. AMD’s first-gen Ryzen “X” processors didn’t include coolers in the box because AMD believed customers who splurged on high-end “X” CPUs would prefer to bring their own cooling. The Wraith Spire cooler ships with the Ryzen 5 2600X. The $329 Ryzen 7 2700X has 8-cores and 16-threads with clock speeds ranging from 3.7GHz to 4.3GHz. 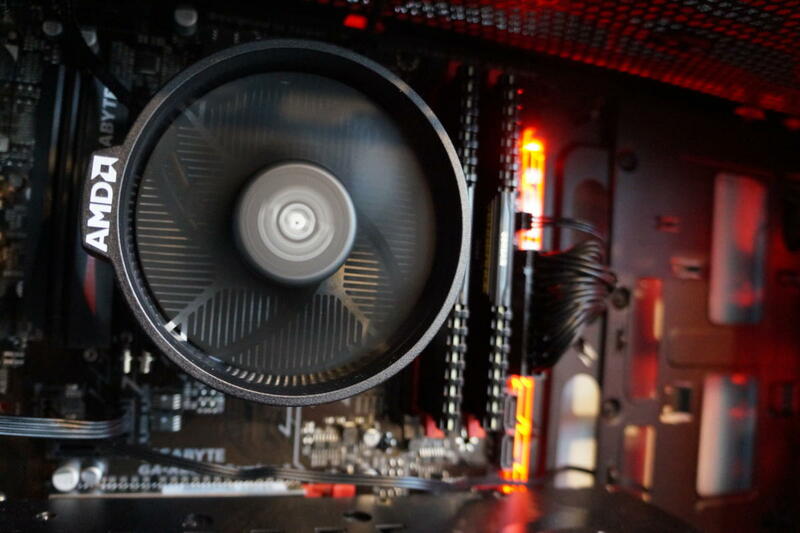 It’s bundled with AMD’s premium Wraith Prism cooler, which features illuminated RGB fan blades. The $299 Ryzen 7 2700 has 8-cores and 16-threads with clock speeds ranging from 3.2GHz to 4.1GHz. It’s bundled with AMD’s Wraith Spire cooler with an RGB ring. The $229 Ryzen 5 2600X has 6-cores and 12-threads with clock speeds ranging from 3.6GHz to 4.2GHz. It’s bundled with the Wraith Spire cooler without an RGB ring. The $199 Ryzen 5 2600 has 6-cores and 12-threads with clock speeds ranging from 3.4GHz to 3.9GHz. It’s bundled with AMD’s Wraith Stealth cooler. The second-gen Ryzen chips will be built on a new 12nm fabrication process that’s slightly smaller than the 14nm first-gen chips. The smaller node and faster speeds doesn’t come for free, as AMD says the Ryzen 7 2700X carries a 105-watt TDP, compared to the 95W TDP of the first-gen Ryzen 7 1800X flagship. The other chips match the TDPs of their predecessors. AMD’s new 2nd-gen Ryzen CPUs compared to the original Ryzen chips. As promised, AMD also announced a new X470 chipset for Ryzen’s AM4 motherboards. The X470 motherboards include “improved power infrastructure for higher clocks on second-gen Ryzen CPUs,” though second-gen Ryzen chips will be backwards compatible with X370 motherboards as well. The X470 motherboards also feature AMD’s new StoreMI technology, which allows an SSD to be used as a "micro-tier" for a traditional hard drive. (Intel’s Optane Memory modules perform a similar function.) Newegg already has 15 X470 motherboards available to preorder. Although the second-gen Ryzen CPUs could cost slightly more than the current street price of the first-gen CPUs they replace—AMD has been holding fire sales on Ryzen chips ahead of this launch—they’re significantly cheaper when compared to Ryzen’s original launch prices. 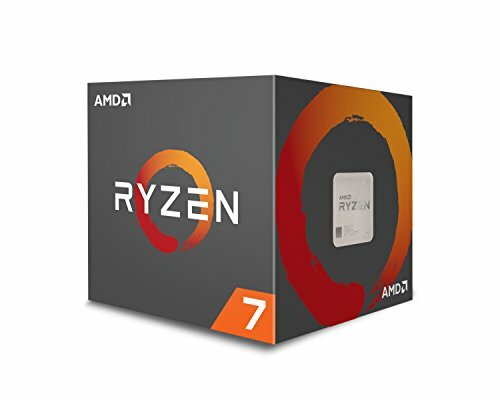 The Ryzen 7 1700X, for example, launched at $399 but now retails for roughly $289. By contrast, the second-gen Ryzen 7 2700X will cost $329. The competition is more fierce now though. Intel responded to Ryzen’s threat by adding more cores to its own processors, and the flagship 6-core, 12-thread Core i7-8700K sells for around $350 online. AMD didn’t release any more details on the new CPUs, but several early leaks indicate the new parts appear to overclock higher than last year’s chips. Again, look for second-gen Ryzen chips on store shelves April 19. Correction: A previous version of this story incorrectly described how StoreMI works. PCWorld regrets the error.